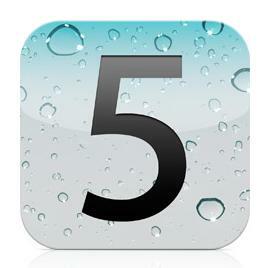 Apple unveiled the details of iOS 5 yesterday, the next big update to their mobile operating system. The software that powers iPhone, iPod Touch and iPad was shown off by Apple executives at the WWDC conference in San Francisco, and is available immediately in Beta form to registered developers. Consumers will get access to iOS 5 via download this Fall, when it will also start shipping pre-installed on new devices. Most people’s biggest complaints about iOS 4 lie in its archaic handling of notifications. Notifications are those pop-up messages you get when you’ve received a new text message or Facebook update or overdraft notice from your mobile banking app. iOS 4 handles notifications by putting a monotone sign on top of whatever you’re doing, forcing you to deal with the notification before you can resume your game of Doodle Jump. iOS5 will instead place a subtler, more colorful message up near the top of your device’s screen. You can deal with the notification whenever you like, or ignore it entirely. Multiple notifications will stack up until you pull them down, revealing a full-screen Notification Center with one-swipe access to the apps attached to the various notifications. Most Apple haters’ biggest complaint about iOS is that parts of it are lame and the other parts were ripped off from competing platforms and/or independent developers. Notification Center kills both of those birds with one stone! First, the system looks like a cross between Android’s pull-down notification pane and webOS‘ swipe-to-dismiss system. Second, the system is a dead ringer for Mobile Notify, a longtime favorite of the iOS Jailbreak community (a repository for iOS apps not authorized by Apple). Ripping off Google/Palm and Jailbreakers? Double win! The Lock Screen now includes missed notifications that you can jump to by swiping (without having to unlock first). Again, it’s both useful and a mashup of what webOS and HTC Sense already do! Nope. Neither, unless you count the Notification Center. Adding widgets would have made iOS complex in a very non-Apple way. Plus, it would have made iPhones too much like Android phones, which would have confused fanboys who like to argue on Twitter about which system is superior. Now that Apple’s baked Twitter integration deep into iOS 5, they can’t really go too far in encouraging those sorts of TwitterFights. Same for a user interface redesign. Extensive user customization of the home screen, or more control over where icons go? Would have been too much like Android. And on a serious note, it wouldn’t have jibed with the new look and feel of OS X Lion (Apple’s new desktop/laptop operating system). So leaving well enough alone, user interface-wise, was probably the right call here. My iPhone 4’s camera has been sllllooooowwww to launch lately. 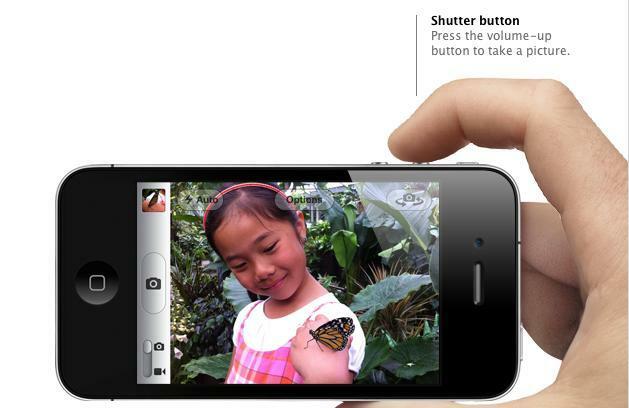 Apple today promised much faster camera launch times under iOS 5. Yay! Also, the volume up hardware button will now double as a camera shutter, which is easier than using the onscreen virtual button in many cases. Plus, improved imaging features like focus/aperature lock and on-device photo editing kill off some of the need for popular third-party iOS camera apps. Another double win! Windows Phone 7 devices all use hardware camera buttons, as do many Androids, Nokias, and numerous others. It’s about time, Apple. Apple lovers say: We just killed your last reason for holding on to that BlackBerry! Apple haters say: Apple ripped off BlackBerry, too? That’s cold. Love it: Like a To-Do list, but with calendar syncing and native GPS triggering (have your phone remind you to “get milk!” when you leave your office). Hate it: Native To-Do list? There goes another indie developer or three’s revenue stream. Threaded Mail Conversations? Looks like Gmail! Split-Screen Thumb Keyboard (iPad only)? Looks like Windows! It is Windows I’m thinking of, right? iPad to AirPlay Mirroring (iPad 2 only)? Smells like DLNA! Reader/Reading List? Um, Instapaper much? Read it Later much? You out there, behind the screen. You’ve followed the coverage, you’ve read this far … You got thoughts on iOS 5? Lay ’em on us!